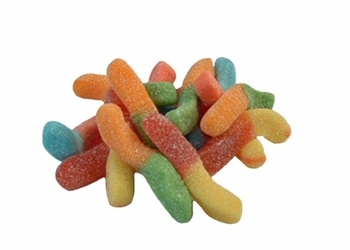 Sour Inch Worms - 1/2 lb. These mini neon colored gummi worms are sure to make you pucker! Dusted in sour sugar, the flavors include blue raspberry, lemon, orange, cherry, and green apple.